FORT WAYNE, Ind. 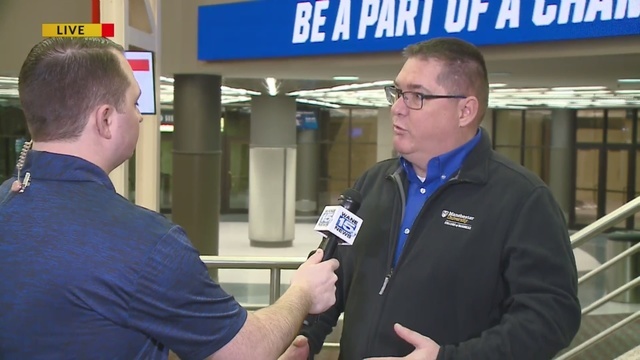 (WANE) - Fort Wayne and Manchester University will host the 2019 NCAA Division III Men's Basketball Championship at the Allen County War Memorial Coliseum. 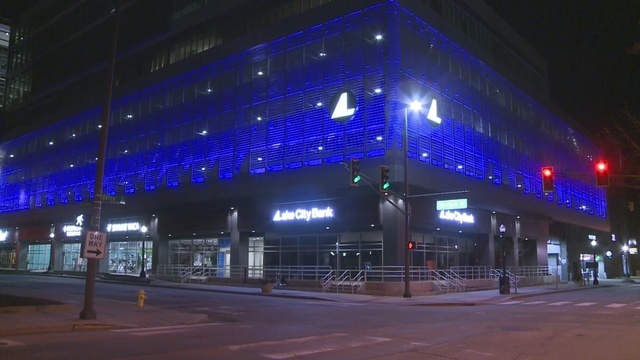 Eight structures around the city lit up their exteriors in NCAA blue Monday morning to celebrate. Participants include the Ash Skyline Plaza Garage, Lincoln Tower, Indiana Michigan Power Plaza, Martin Luther King, Jr. Memorial Bridge, Turnstone's digital board, Parkview Field's digital board, Fort Wayne Visitors Center's digital board and building, and Memorial Coliseum's digital board. The championship weekend isn't until March 15 and 16, but Monday marks the start of the process as 64 teams will be selected to compete in the tournament. You can watch the selection show on NCAA.com at 12:30 p.m. Monday. You can also see the bracket here. This will be the first time in history that Indiana will host the division III championship, but it won't be the last. Manchester University, Visit Fort Wayne, and the Coliseum are set to host four total NCAA DIII Men's Basketball National Championships over the next several years. 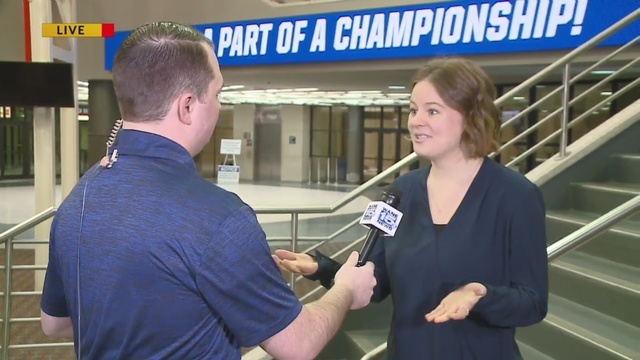 The championship weekend could have a significant impact on the city as thousands of people are expected to come to watch their teams compete for the title.